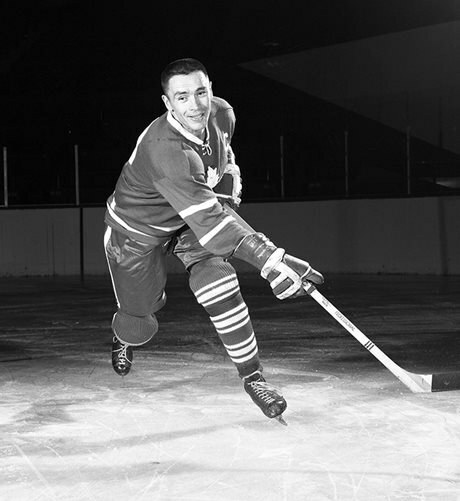 George Armstrong was one of the Toronto Maple Leafs’ greatest captains, according to franchise founder Conn Smythe. Born of Irish-Algonquin heritage, Armstrong displayed promise as a skilled hockey player from a young age. The Toronto Maple Leafs put him on their protected list as a future draft pick while he was playing with a northern Ontario team. From 1947 to 1949, he was a top scorer in the Ontario Hockey Association while playing for the Stratford Kroehlers and Toronto Malboros. He played his first Leafs game in December 1949. 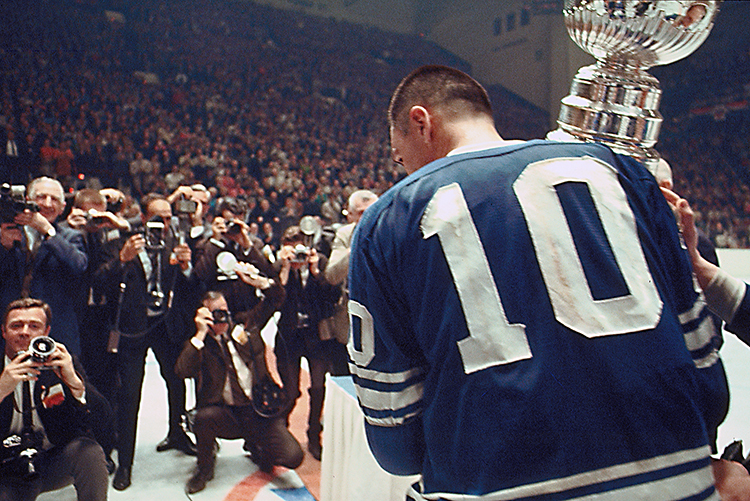 The Leafs won four Stanley Cups with Armstrong leading the team, including their last win in 1967. He retired in 1971 after becoming the longest-serving captain with the Leafs. Afterwards, he coached for the Toronto Malboros (1972-77) and then for the Toronto Maple Leafs (1988-89). Watch Armstrong on CBC Television going up against Andy Bathgate for a charity showdown in 1978. Learn more about Armstrong’s career with the Toronto Maple Leafs on their website.